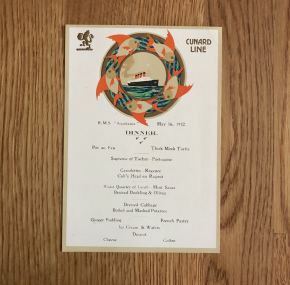 Lovely graphics on this Aquitania dinner menu from May 16, 1922. 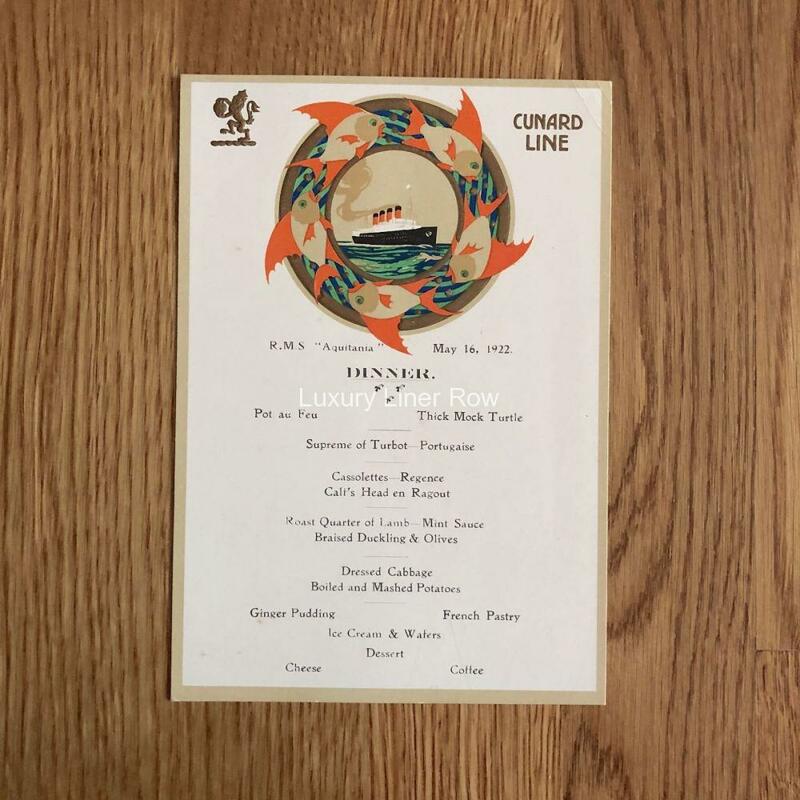 Although the class is not specifically mentioned, it is probably a second-class menu given the limited choices available. Excellent condition.